With the arrival of latest technology and innovations, cinema from all over the world has now become even more famous. The cinemas from the North Eastern part of India which is not known to many people has also started to make its way to the International Film Market. Breaking all the barriers- films from Assam, Manipur and Arunachal Pradesh have started to come up with interesting plots for movies and documentaries making them an international hit. 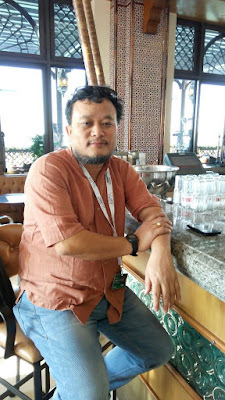 Talking about his feature fiction film “Lady of the Lake”, Haobam Paban Kumar, director of the movie said that this Manipuri- language film is beating all odds after being selected as the “Work In progress Lab” at the India’s film Bazaar in 2015. Based on a true story and later made into a fiction, the film depicts the story of fishermen living in the coast of Manipur’s Loktak Lake and the hardships faced by them. It is based on those people who are been driven from their houses by the Floating Biomass which covers the lake. These are controlled by the local authorities who claim that the fishermen are causing pollution. One of the fishermen in the film is shown suffering from catatonic depression by losing his house. One day, he finds a gun, and tends to believe that the gun could be the answer to all his problems. But some mysterious women visits him every day and helps him to reconsider his plan. When asked about how he went through the film and casting, because it’s a delicate issue which highlights the hardship of the people, director Paban Kumar said, ‘I prefer working with non-professional artists as they have that natural expression on their face which is not fake and this helps them connect to the audience well’. He also said that initially people were scared and that they refused to come on camera and told him that they cannot act in his film but after a lot of persuasion they agreed to work on the documentary with him. The documentary was titled Phum Shang (Floating Life). The documentary focuses on the daily lives of the fishermen and their encounter with the police. He even said that cinemas and documentaries are all about showcasing different stories and festivals are the only platform where individual filmmakers can showcase their. Making films in dialects is difficult. “Also nowadays the young film makers should attend scriptwriting labs as it is the only place where their work is being recognized and these filmmakers should attend the Fil Bazaars as it is a platform for expressing their views and ideas on particular topics”, says Paban Kumar.